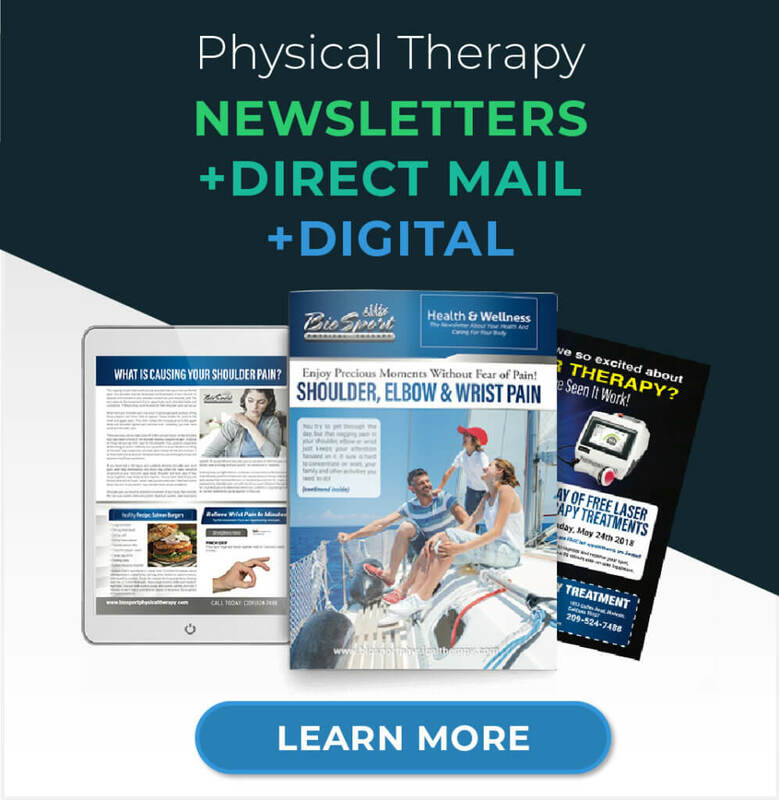 When it comes to physical therapy newsletters, most of us picture a printed, multi-page paper. 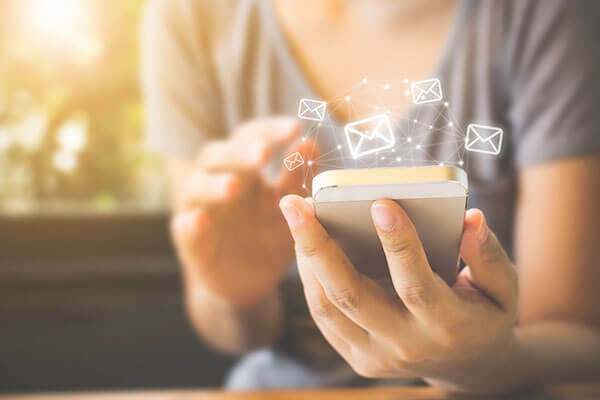 These newsletters are typically rich with interesting articles, information, and tips that are built to relate to common problems readers experience – prompting them to call you back. So, if a printed newsletter can be that powerful mailed, will an online newsletter grow your website? In short, yes. Flippingbook is one example of an online newsletter service that includes animated page flipping and interactive links. You can also see stats of how many people viewed your publication. So, what about the design and promotion? Don’t worry, this is a blog post so I’m going to answer my own question. 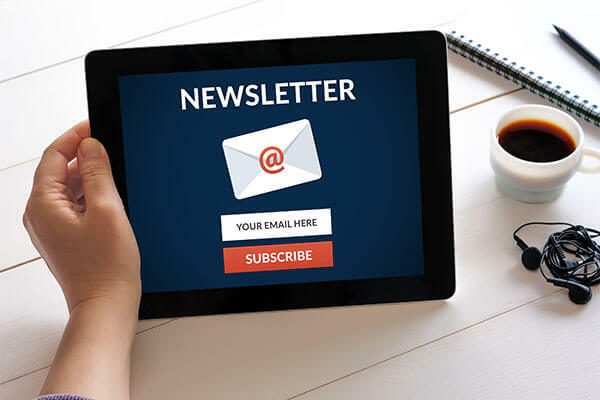 To help maximize your online newsletter results, here are 5 things to include IN your newsletter, and 5 ways to get them OUT to readers. Like I said, newsletters are often rich with information and text. But readers online, especially mobile or tablet, are more accustomed to skimming headlines. So even if you have a lot of text available it’s smart to make very clear sections that stay somewhat consistent month-to-month. This will help digital readers find the content that is most relevant to them. One major advantage online newsletter have over paper is the ability to click on links instead of having to encourage someone to go online first. They’re already online! 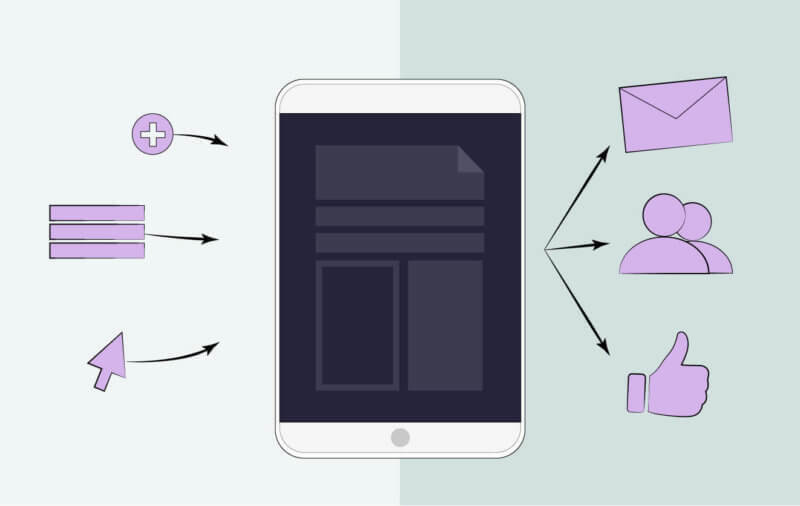 How you include links will depend on your online newsletter service, but most automatically find links in the text. In every issue, be sure to include 1-3 links to your homepage, as well as links to related content for each section. For instance, if you include an article about aquatic therapy, place a link to learn more on a specific webpage such as “myptpractice.com/aquatic”. Links will help drive traffic to your website, and your website should drive patients to your practice. Just don’t go overboard, the text still needs to be readable. Try to stick to one relevant link per page. Generally, physical therapy newsletters will have a different theme each month. Examples might be back pain, sciatica, or other common conditions. This provides a great opportunity to include patient reviews or testimonials about those specific conditions! 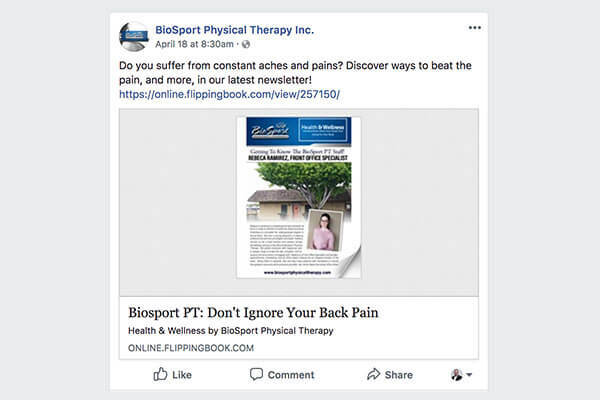 You know the reader is interested because they’ve chosen to click on your sciatica newsletter, so be sure and show a patient who has overcome the same problem. Will you be hosting a workshop or other event this month? Not only should you include a calendar in your online newsletter, but also a link right to the registration page! This, again, is an opportunity to make the topic of the event relate to your monthly theme (Someone reading a back pain newsletter might not need to go to a plantar fasciitis workshop). Exercise tips are an extremely helpful way to show your expertise. That said, it can be difficult to show the whole thing in only a picture or two! Before your newsletter goes out, record a video demonstrating the exercise and place it on your site. Then, include a clear message like “View a video demonstration here” in that section of your online newsletter. Before you broadcast your shiny new publication, it’s important to do some planning. Think about the fact that this is a longer read than a simple blog or social post. People aren’t likely to open it if they receive it during a busy work day or driving their kids around for school. Think about the things your best patients do during their week and try to catch them at a more relaxed time. For example, our own digital newsletter is aimed at busy practice owners. We’ve found Saturday afternoon to be a fairly engaging time – when they aren’t as bogged down with patients or catching up on Monday morning emails. Email is the obvious first step. Reach out to your past patients through your email list the same way you would a print mailing list. You want to be very clear and personal with the subject line and keep it simple. We recently sent one with the subject “Your Monthly PT Newsletter” and had almost a 40% open rate – well above the industry average. Once they’re in, keep it simple and invite them to view the newsletter online. One nice button and maybe a preview image should do the trick. For more email tips check out this article as well. Post your online newsletter to your social media profiles, and don’t be afraid to post it 2-3 times a month with a different status (especially on Twitter). If you are able to host the newsletter directly on your website, you can offer the chance to sign up for your email list and get next month’s issue delivered. Check with your web developer if you’re not sure about that – it could be a great tool! Now, you could simply post each month’s newsletter right on your website. But I’m going to propose another trick. First, take the main article from your newsletter and use it as a blog post. Then, both in the middle and at the end of the post include a call-to-action such as “Get our email newsletter for more tips and back pain solutions” that has them join your email list. This will help to steadily grow your audience and lead people towards signing up for a consultation. Reach out to local gyms, health stores, and other businesses who are active on social media and email. Ask them to share your online newsletter to their page or subscribers. You can also offer to do the same in return with their website, event, or something else that would benefit their business and benefit your patients (make sure it helps both ways!). Clients who print patient newsletters with us get online newsletters included. But if your service doesn’t include that, creating them is easier said than done. Don’t give up! We hope these tips help overcome the initial difficulty because once you’ve started it can be an easy monthly tool for your practice. Want More Inspiration? Check Out These Online Newsletter Examples!